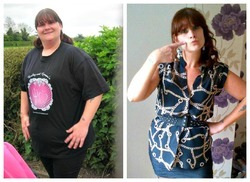 Thanks so much to Xmillyxxx who sent in her motivational weight loss Success Story. After an unflattering comment she quit trying to diet and instead made a lifestyle change. 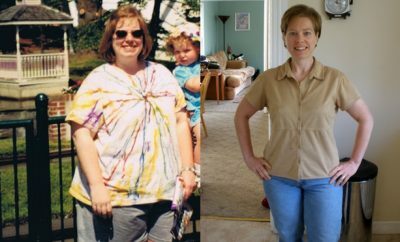 She has lost over 125 pounds and has not reached her goal yet, but can be very proud and happy with her progress so far. 1. What prompted you to begin this weight loss journey? Did you have an “Aha!” moment? I have always been overweight and it hadn’t really bothered me until someone was extremely cruel to me about my weight. It made me take a long look at myself to realize that I wasn’t happy with who I was. 2. What other “diets” (programs, products, plans, or services) had you tried in the past? I have tried everything from Weight Watchers, Slimming World to juice diets! I decided to move away from ‘conventional’ diet plans and eat healthily, ethically and became vegan. 3. Please describe how you reached your weight loss goal. What changes did you make to your usual diet, activity, lifestyle, and attitude? Did you implement any other strategies besides Calorie Count? What was the most important change? I became vegan which gave me a massive insight into what I had been eating and what goes into food. Preparing all my food myself really helped cut the bad bits out of what I was eating. I also took up running and recently completed my first 10k in 62 minutes and I am a regular at the gym. 4. Please describe how Calorie Count was instrumental to your weight loss. Calorie Count helped me keep track of what I was eating and the calorie content of each item along with the nutritional values. Also, it helped me see where I was lacking in my diet. Reading how everyone else is doing is helpful and inspirational which helps keep me on track. 5. What difficulties did you experience losing weight? The hardest part is learning not to cheat ‘yourself’ and always believing that you can succeed. Also, remembering that a bad meal does not mean a bad day! 6. How long did it take you to see results? When did you realize that you were a success? 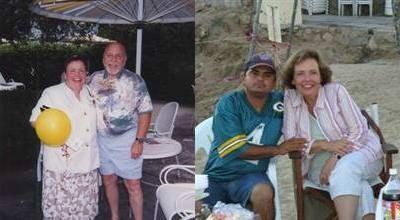 It took around six months to notice any real difference as I had a lot of weight to lose. 7. How do you prevent relapse? I stay on track by exercising regularly and always keeping a photo of the old me in sight. Plus, I have kids so all the goodies are long gone before I get home! 8. How has your life changed now that you’ve lost weight? Since losing weight, I have more confidence and bags more energy. I also have a bigger wardrobe – just not size wise! 9. How long have you maintained your current weight? I’m not quite at my goal yet, so I’m still a project in progress! 10. What five tips do you have for other dieters? Exercise today; eat that Kit-Kat tomorrow. Remember, Rome wasn’t built in a day!